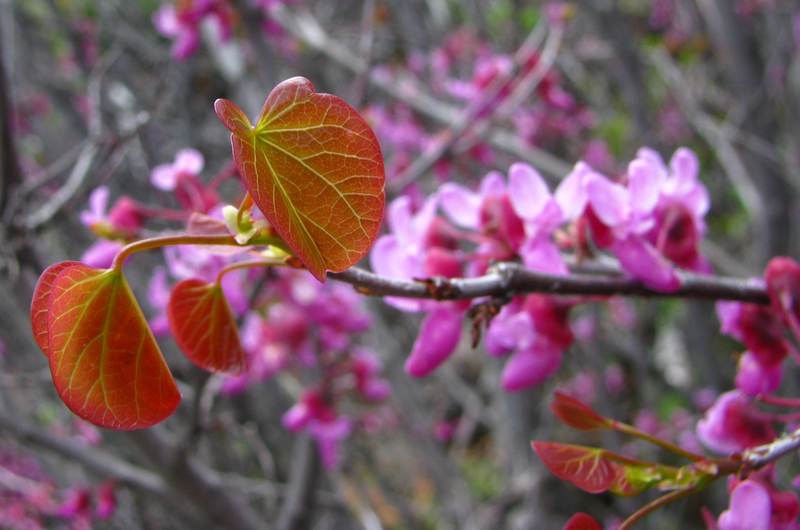 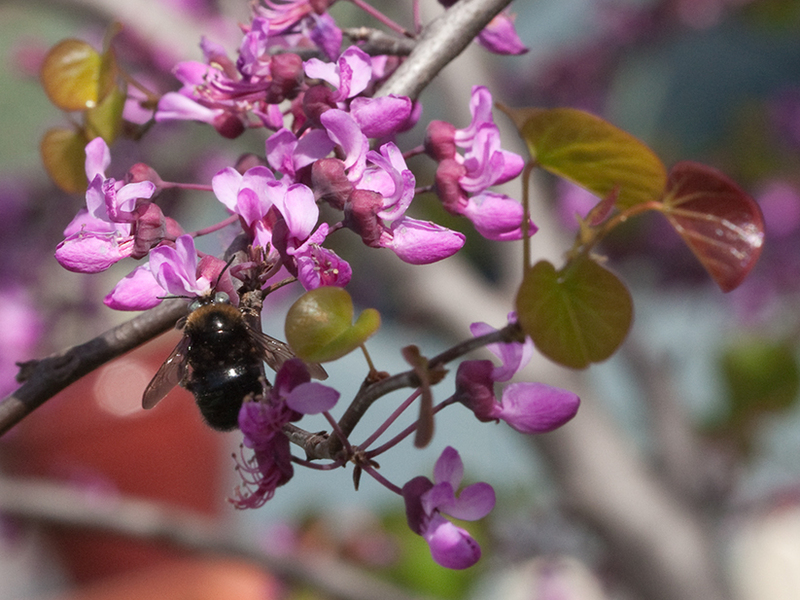 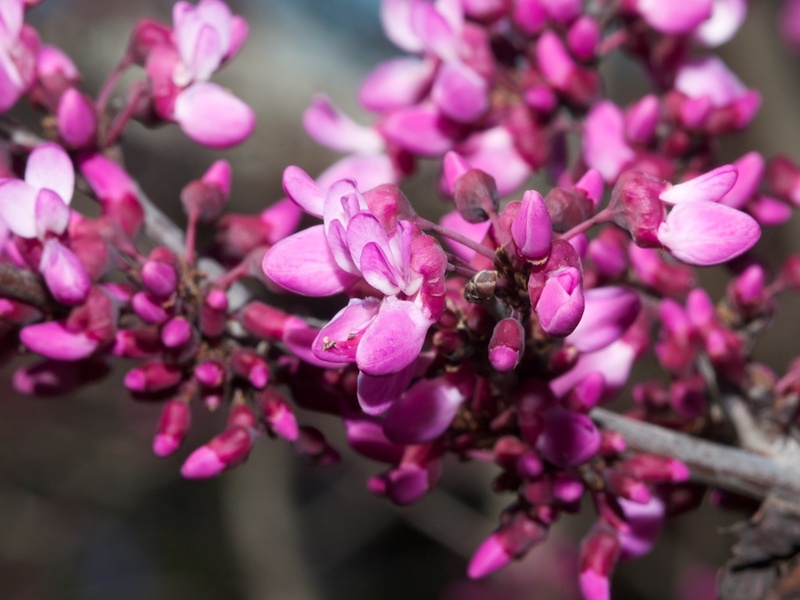 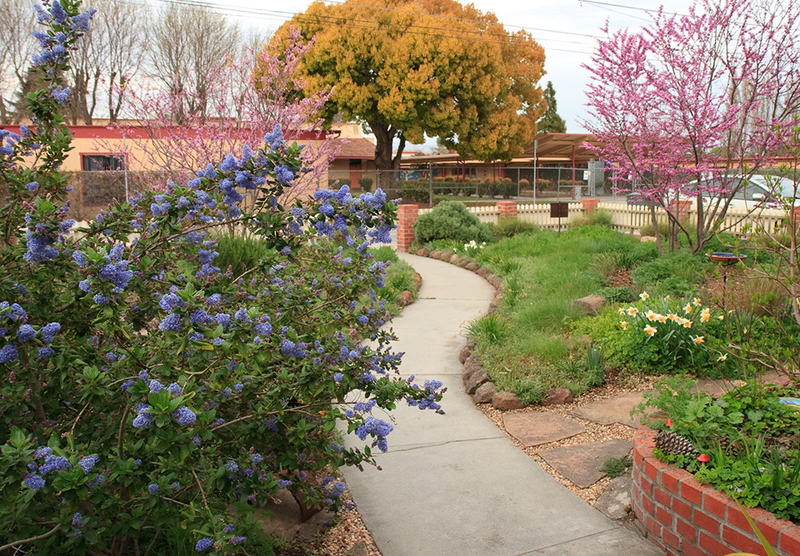 Western redbud is a California native found in the foothills and mountains up to 4,000 feet in elevation. 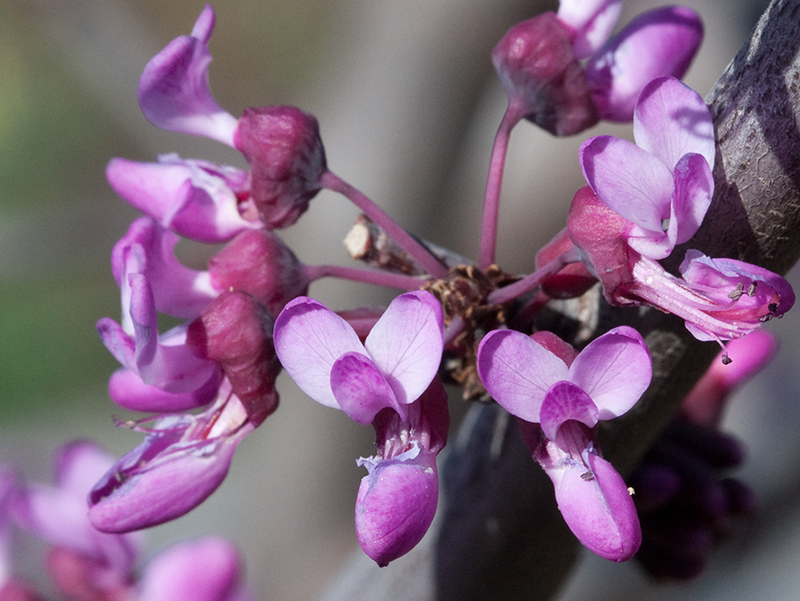 It can be a shrub or small tree that grows 10-18 feet tall and wide, usually with several trunks from the base. 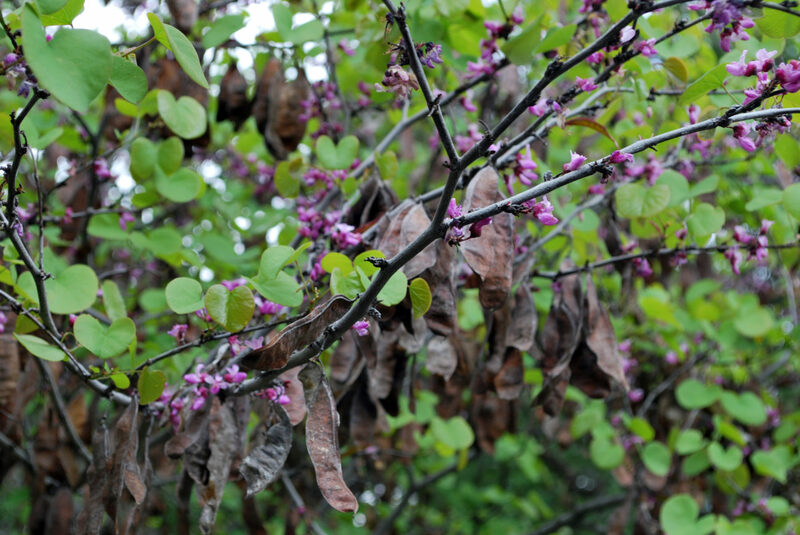 It is a plant with nearly year-long interest. 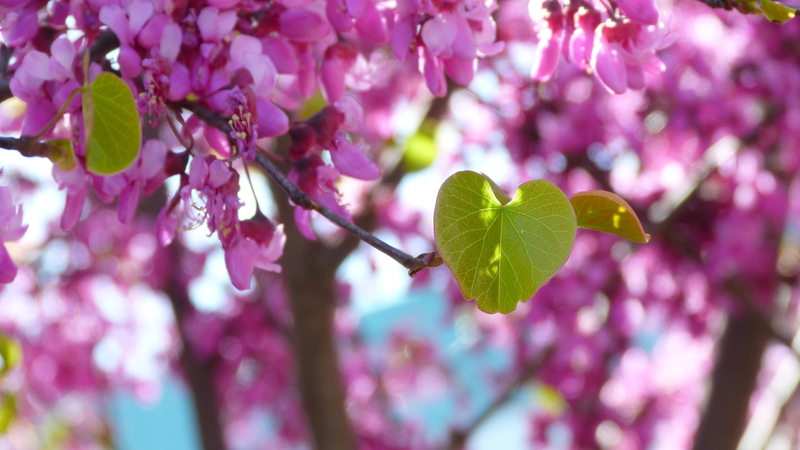 It is deciduous, having heart-shaped leaves that turn gold or red in fall. 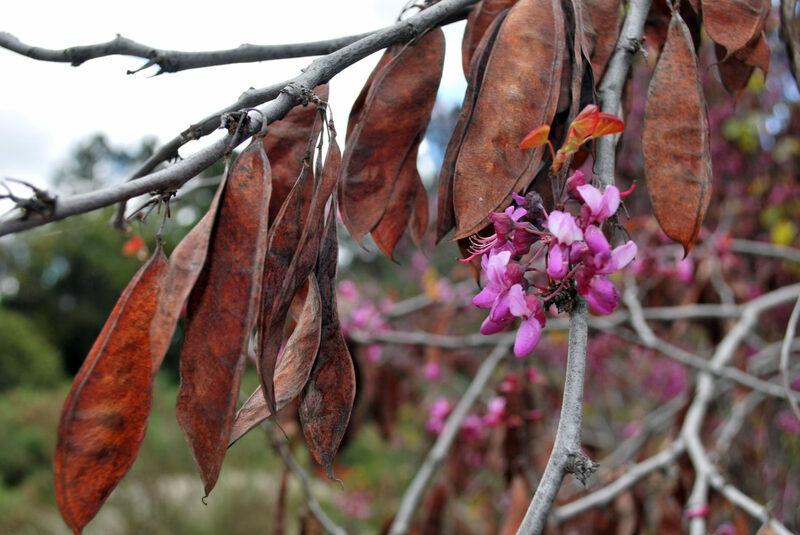 Clusters of magenta flowers form on the bare stems in early spring, developing into reddish brown seed pods that remain on the plant throughout the summer. 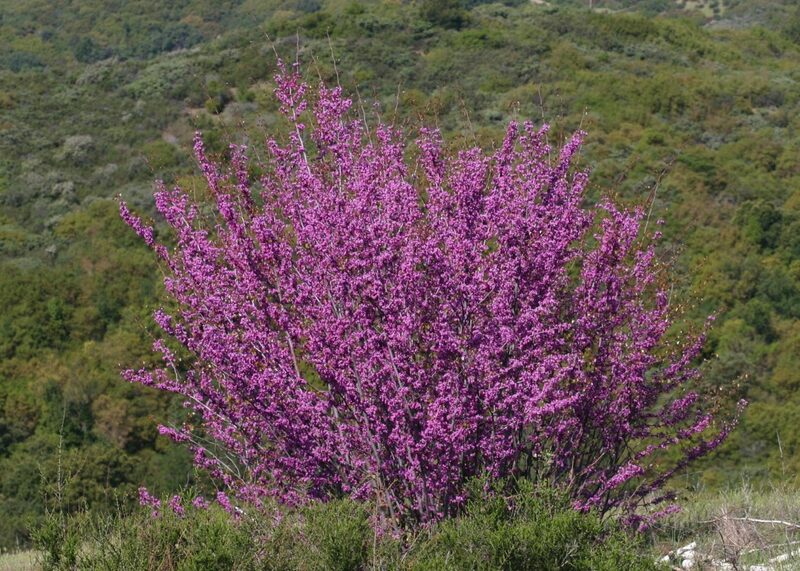 This plant is very drought tolerant, requiring very little and infrequent water. 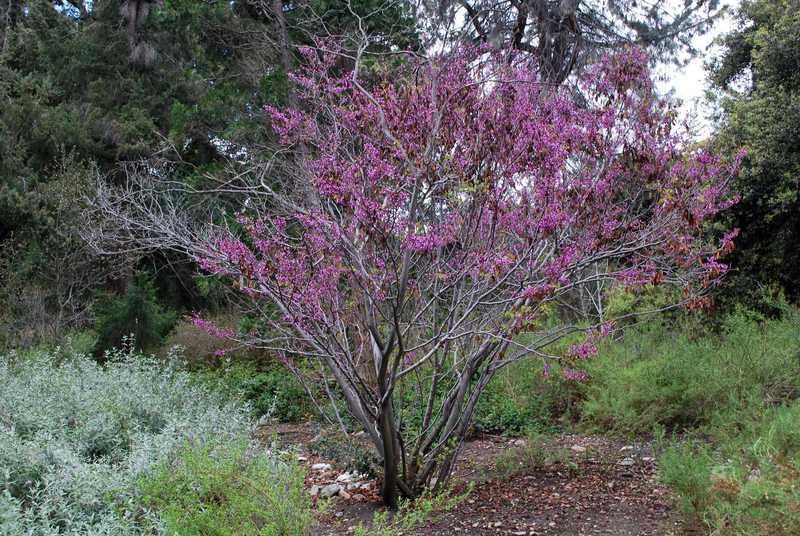 The variety ‘Alba’ is a small shrub with white flowers instead of magenta.